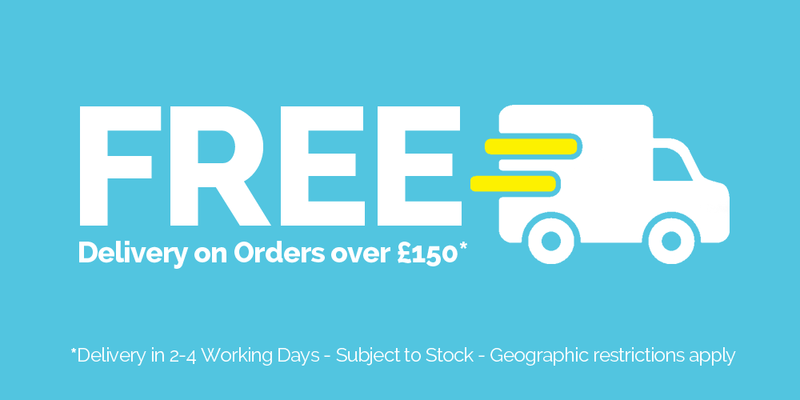 All our orders are sent via DPD/Interlink Express as standard and will require a signature from a person at the given address. Smaller items may be sent via Royal Mail First Class and in a padded envelope. Delivery to alternative addresses are not always possible, but should there be any issue with your chosen address, we'll give you a call. Unfortunately for security reasons we are unable to allow collection from the courier directly. If you require the parcel to be re-directed, or even re-sent, you may incur additional costs to your delivery, please contact us to arrange this. Please note that Public & Bank Holidays may extend the delivery time. Please call or email for further information. Next Day delivery is not available to the Republic of Ireland, Highlands & Islands, Channel Islands, Isle of Man, Isle of Wight, Inverness, Aberdeen and Dumfries & Galloway. 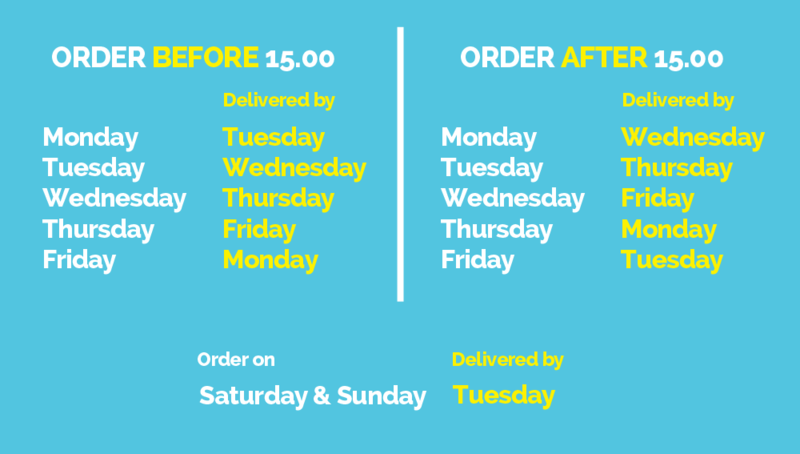 Whilst we will endevour to get your order to you on time, we are unable to guarantee delivery. If you are ordering for a specific job or event, please order in plenty of time. For International Deliveries, we send goods via DPD Europe. Once outside of the UK, they may be passed to local couriers who will deliver the goods to you. Please allow up to 5 working days for the goods to be delivered. Currently, we are unable to dispatch goods to either MALTA or CYPRUS due to limitations on transporting certain goods. International orders attract a £10 administration charge. This is to cover any charges set down by your bank in doing the BACS Transfer. We will endeavour to deliver goods within the times stated but goods are subject to availability and delay in delivery of goods is sometimes outside of our control. Any dates specified for the delivery of the goods are approximate only and we shall not be liable for any losses, costs, damages, charges, or expenses caused by any delay for delivery of the goods. If our suppliers or we are temporarily out of stock, we will notify you of this position and you should allow up to 14 days for dispatch of the goods. Should you require something for the 'Next Working Day' service, please call our stores to confirm stock. *For Finance Orders: Due to terms of the finance agreement terms and conditions, we are unable to allow delivery to any alternative addresses. We may be able to supply tracking information as it is nessecary for us to ensure that the order is delivered to the correct address and cannot be re-directed without our knowledge.